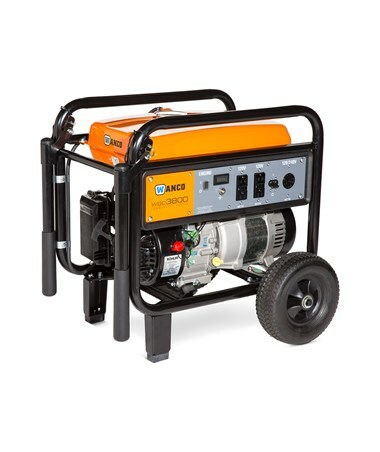 Powered by Kohler Command PRO OHV engine, the Wanco Portable Gas Generator is the power you can rely on at home, worksite or in the camping site. This engine meets EPA and CARB standards and runs on gasoline. 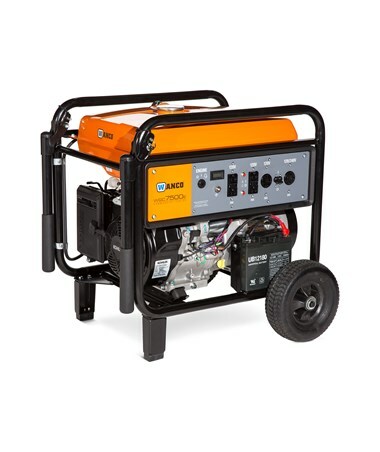 This portable generator offers 11.8 to 17.4 hours of continuous performance at 50% load depending on the model. 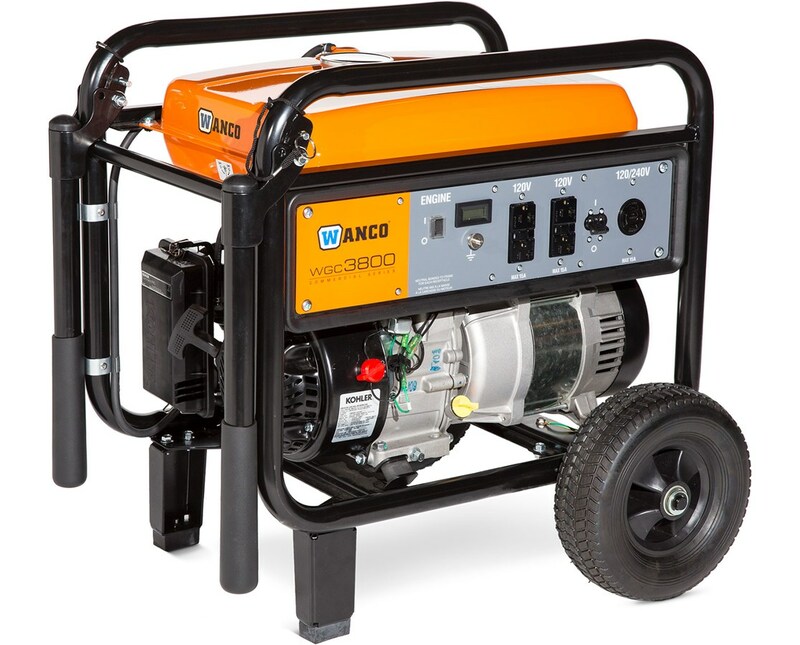 Featuring GFCI protected outlets, the Wanco Portable Gas Generator provide enough plugs for powering your appliances, devices, and equipment. Depending on the model, it includes 120V duplex outlet, 120/240V Twist Lock, and 120V Twist Lock. It also comes with an hour meter to keep track of the engine’s runtime. Among its other feature is the low oil shutdown to help prevent the generator and devices from any damage while plugged in and an AVR to protect appliances from accidental current overloads. Its heavy duty frame is sturdy and tough enough to survive frequent use and harsh environment. It comes with a wheel kit with flat free tires and folding handles to allow easy transport. The Wanco Portable Gas Generator comes with recoil or electric start, and every model features simple operation and easy maintenance. It comes backed by a 3-year warranty. 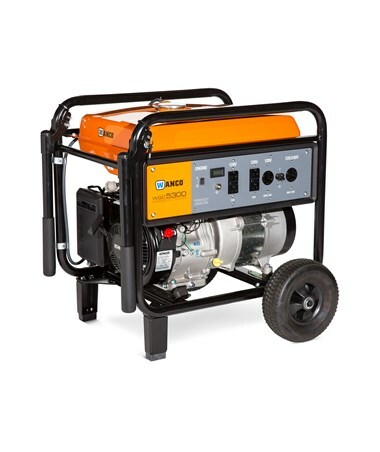 The Wanco Portable Gas Generator is available in different models offering three rated wattages for your power needs. Please choose from the menu above. Run Time (Hours) 11.8 or 17.4 hrs. Fuel Tank Capacity Gallons (Liters) 4 or 8 gal.